Hédène honeys are most of all, a product of traditional French know-how. They express a fascination for this noble ingredient with a unique aromatic fineness. This expertise relies on a selection of the most beautiful wildflowers parcels of France and a sustainable beekeeping, friendly towards pollinator bees. Every Hédène honey is monofloral and comes from one emblematic flower of a French region. 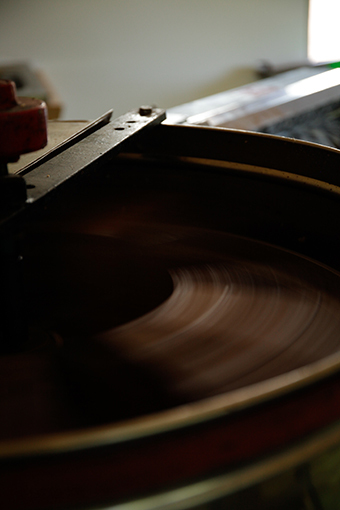 Cold extraction and certification of designations allow the brand to ensure its honeys’ excellence and refinement. 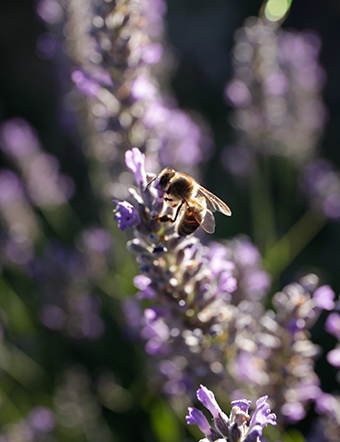 In this process where traceability is essential, Hédène wants to highlight the wonderfully rich floral heritage of France with exclusively French honey. Hédène picks the most beautiful wildflower parcels of France to produce its honeys. Each honey symbolizes a flower and a region of France. Apiaries are established in wildflower parcels with high floral density in order to guarantee a specific aroma to each honey. Like wine, the wildflower parcels’ quality is fundamental for nectar flow. This selection guarantees specific aromatic notes to every Hédène French honey. Melliferous density of a single wildflower in a 3km-radius is a key factor as bees forage in colonies. Once the flower blossoming is over, Hédène selects the best crops for its various monofloral honeys. Hédène’s process promotes excellence; quality wins over quantity with a willingness to display exclusively honeys harvested in French regions. This excellence results in a sustainable beekeeping, friendly towards the worker bee. Hence, Hédène undertakes to select honey frames only from the superhives so that colonies may support their needs during winter. Furthermore, Hédène fosters sedentary apiary policies to respect the bee’s natural pace in its environment. Hédène’s harvest occurs when the flower blossoming is over. Melliferous plants' flowering periods are unpredictable; they depend on geographical location and weather conditions. They usually start at the beginning of spring with rosemary and acacia and last until autumn with heather and arbutus. 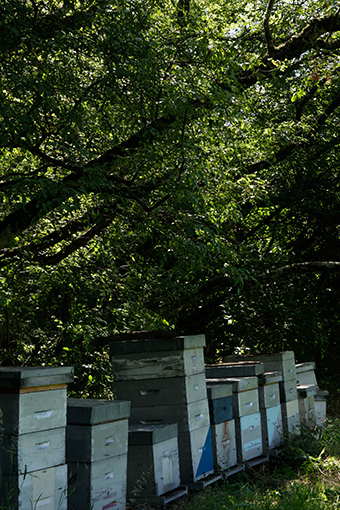 Hédène makes sure only capped frames are extracted from the hives to obtain the highest quality for its honeys. 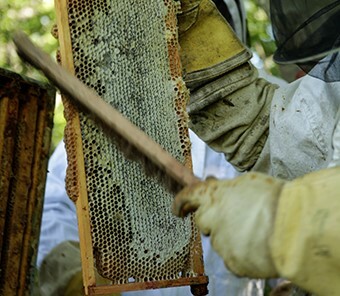 Once frames are harvested and extracted from the hives, the beeswax film, made to protect the honey, is removed, in accordance with traditional beekeeping methods. Then, honey starts flowing softly. All Hédène honeys are cold extracted and therefore not warmed. 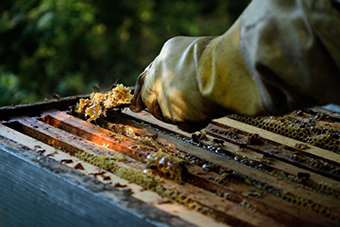 This process consists in placing uncapped honey frames in an extractor. Then, they are subjected to cold centrifugal power through fast rotation, to clear cells and extract honey. Then, honeys are bottled in glass jars with elegant curves. As fragrance bottles, they highlight the quintessence and the nobility of this raw and natural product. Through those jars, the colors of Hédène’s wide range of honeys are sparkling. Pasteurizing is not used during bottling to guarantee a unique aroma to each of Hédène French honey. Whether it is the 100% guaranteed French origin or the monofloral designations, every Hédène honey is authenticated by a testing laboratory on the basis of polyfactorial criterias, such as pollen analysis, for origin and density, or sugars composition. 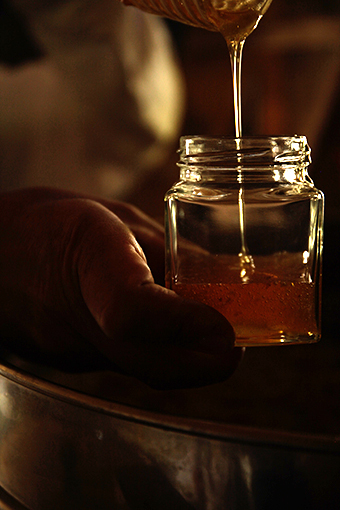 The laboratory analyses guarantee the authenticity of each honey. They show traceability and excellence are core values for Hédène. Hédène gourmet honeys might crystallize over time. This is a natural phenomenon which testifies the honey quality and proves it was not pasteurized. 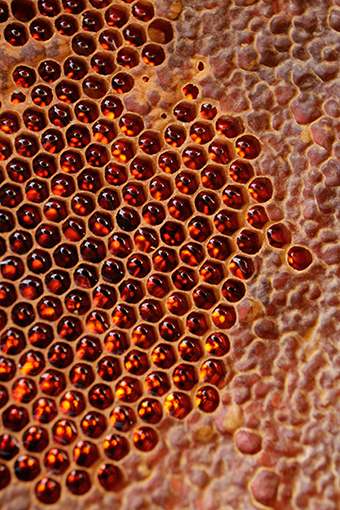 Hédène various honeys may crystallize more or less quickly, depending on the flower’s nectar because it depends on natural sugars' density (fructose, glucose).